Congratulations to our Member of the month for March – Yanina De Brites! 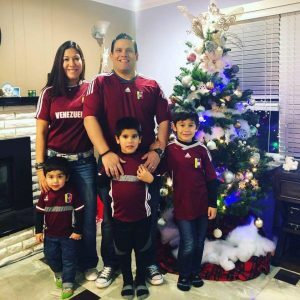 Yanina moved to Bellingham from Venezuela 10 years ago. She joined BAC in 2009, and is celebrating 10 years with us in November! Yanina loves the community and feels very blessed to live in a city where she has made such great friends. When looking for a place to work out, the most important factor was finding a safe place to leave her 3 boys. They love coming to the Kids Club at BAC and are involved in several programs there. Yanina also enjoys attending a variety of Group Exercise classes, where she’s made lots of friends. Her husband also works out at the club, so the whole family is able to come in stay active and fit together. Yanina’s life revolves around her three boys. They keep her very busy, so being able to take an hour in her day for a class (and knowing her boys are having fun) makes such a difference. When they aren’t working out together, she and her four boys enjoy going on bike rides and hiking, or any physical activity they can do as a family! Yanina: we at BAC love your family, and the instructors are always happy to see you in the studio. Thank you for being such a dedicated member.